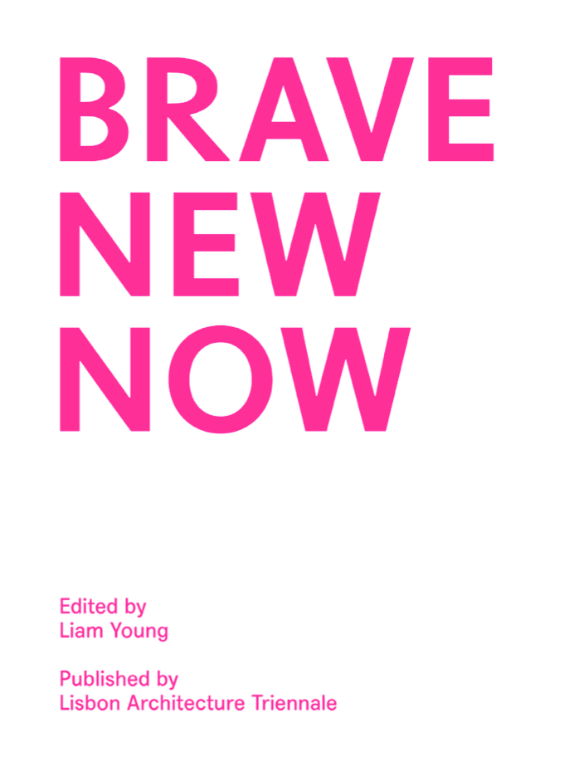 Brave New Now is a collection of specially commissioned short stories set in a fictional future city developed by speculative architect Liam Young for the 2013 Lisbon Architecture Triennale. Authors have been invited to inhabit the city, to breathe life into its characters and cultures and give form to its streets and spaces through narrative. It is a speculative urbanism, an exaggerated present, in which we can imagine the wonders and possibilities of emerging biological and technological research. Authors include Warren Ellis, Bruce Sterling, Tim Maughan, Jonathan Dotse, Rachel Armstrong, Samit Basu and Anil Menon. These speculative fictions are illustrated with a collection of photographs of the present, gathered from a group of photographers who venture out into the world documenting the weak signals and emerging phenomena that have been extrapolated into our imaginary city. In Brave New Now it is not clear what is fact and what is fiction, but rather the two productively intertwine. The two modes of working sit side by side and we slip suggestively between the real and the imagined, between the documentary and the visionary, where speculative fictions become a way of exploring a world that the everyday struggles to grasp.